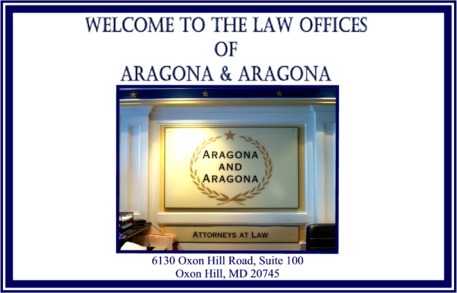 The Law Offices of Aragona & Aragona have been providing quality legal services to the DC, MD metropolitan area for over 40 years. We pride ourselves on the ethical and courteous customer service that we provide to our clients. The Firm has deep roots in the community and with our successful reputation many of our new cases are based on referrals from past clients. Our Firm was awarded the Highest A/V Rating and our entire staff possesses the skills and knowledge to offer the best and most professional care to each case. If you are in need of legal services, let your legal worries be left in the right hands, call The Law Offices of Aragona & Aragona today! Call today, or e-mail us and schedule your appointment.